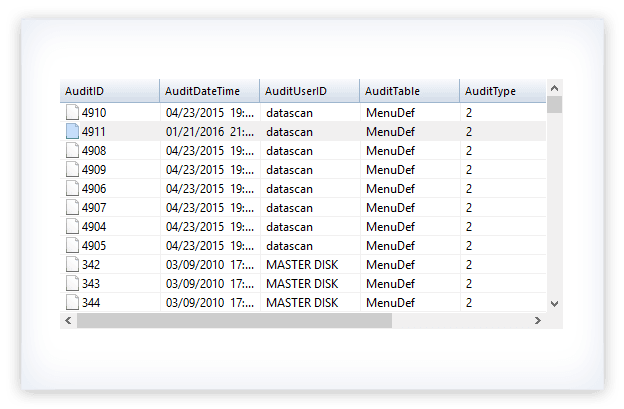 Repair and restore lost, corrupt SharePoint database files. Simply outstanding tool! I am impressed with this tool for its accuracy in dealing with damaged or corrupt MDF database. Initially, I tried the trial version and believe me; I have never found such effective database recovery software. With the help of this tool, I have been able to recover entire data back in just a matter of a few minutes. 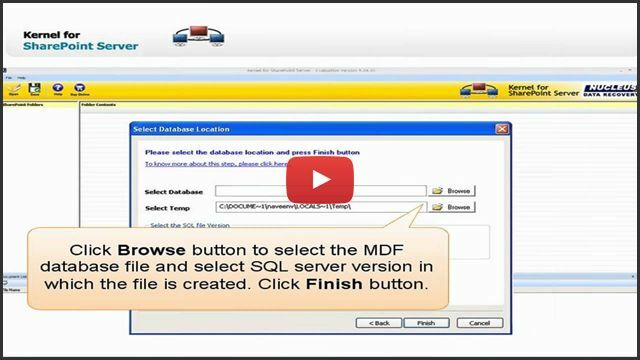 I would surely like to recommend others to download the trial version at least and overcome all sorts of queries you have regarding dealing with MDF database corruption. This tool is the most proficient software; I have ever come across while dealing with SharePoint Server database recovery. It has got many exciting features. SharePoint Server Recovery software is capable enough to effectively resolve all corruption in the MDF files and restore the data present in it. The software rebuilds the entire damaged database and uploads it again to the SharePoint server. Once the SharePoint recovery process gets completed, the recovered files and folders get displayed in a tree like structure. The preview of database content helps in evaluating the effectiveness of the software and one may also verify recovered data prior saving it at respective location. The software is very well integrated with two recovery mode. The Raw Mode is beneficial when the MDF database files get corrupt, but at the same time MS SQL server and MS SharePoint server are still in working state. The use of Live SQL instance recovery mode allows individual to take out the damaged documents right from the database and upload it to a new account. Universal Data Link file (.udl) plays a significant role in specifying the connection information to a data provider on Windows 2000 and above operating systems. The tool help users to achieve quick recovery of files by facilitating them to get connected to the MS SQL Server through UDL file and carry out the recovery operation. It displays a list of path location, where all the files are placed, such as file name, SharePoint Folder location, SharePoint Actual Folder Location. The user can accordingly create and save the reports of extracted files and folders. Kernel for SharePoint Server Recovery tool has interactive GUI design that offers step-by-step procedures to repair MDF files, without involving any efforts or technical dependency. 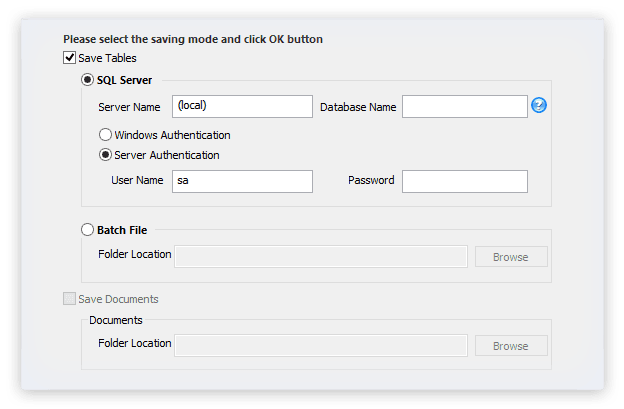 SelectIn this step, you would require to make selection among two modes of recovery: Raw File Mode or Live SQL Instance Mode along with corrupt MDF Database. PreviewIn this step, all the recovered Tables, SharePoint Actual and SharePoint folders get listed for easy preview. SaveIn this step, select the respective folders you want to save and provide saving location. The software has got two recovery modes. What is the difference between both modes? Yes, the tool has got two recovery modes mainly, Raw Mode and Live SQL instance recovery mode. Both the modes are different from one another and has got important role to play. While, Raw Mode is effective when the MDF database files get corrupt, but MS SQL server and MS SharePoint server are still running; Live SQL instance recovery mode proves vital when the MS SharePoint server is down. One can make use of this mode when he or she wants to restore files or folders in case MS SharePoint Server experiences downtime. How Trial Version of Kernel for SharePoint Server Recovery is different from the complete licensed version? Free to Download, the trial version of Kernel for SharePoint Server operates just like the complete licensed version. The trial version repairs damaged SharePoint Server database MDF files, and also display the preview of recovered data, but at the same time put certain restriction on users from saving the restored data. While operating the software, if I ever face any issue then, what should I do? Not to worry at all! Just in case you are not able to operate the software properly then, all that you require to do is contact our help desk support. Our help desk support personnel are available 24X7 and always ready to resolve your queries. I recovered my most recent document from SharePoint – the tool saved me from losing an important client. It is a rare tool which can recover the entire lists, sites, and items from SharePoint. It brings the data in the perfect health. A mind-blowing combination of efficiency and ease. Any user can run the tool without any troubles. I would like to give reliability award to this advanced tool from my side. Lepide Software Pvt. Ltd announces the release of an updated version 13.09.01 of Kernel for SharePoint Recovery Software. The new released version features support for auto-selection of SQL Database Version. Users don't need to manually provide database version in Raw Recovery mode but click to choose auto-detect option. Also, the software is now equipped with advanced recovery algorithms for better and snappier repair. Updated version of Kernel for Sharepoint i.e. 11.10.01 is now available for users. Updated version of the software allow Preview of documents and support sharepoint 2010 and sql 2008 r2. Kernel for SharePoint Server software launched today. SharePoint administrators can now sit at ease when they face situations of lost document libraries, server downtime, data inaccessibility, accidental deletion of files and folders from WSS website and backups turning bad. Software for MS SharePoint document recovery restores and recovers from MDF SharePoint database through orphan file or by connecting with MS SQL Server and performing the document recovery. Kernel for SharePoint Server is equipped with two recovery modes where users can provide only the MDF file to the software or define the SQL Server database location and perform the database recovery operation. Fully supports MS SharePoint Server 2007 and MS SQL Server 2000, 2005, and 2008. Quickly restores SQL Database like tables, views, indexes, etc. to SQL Server. 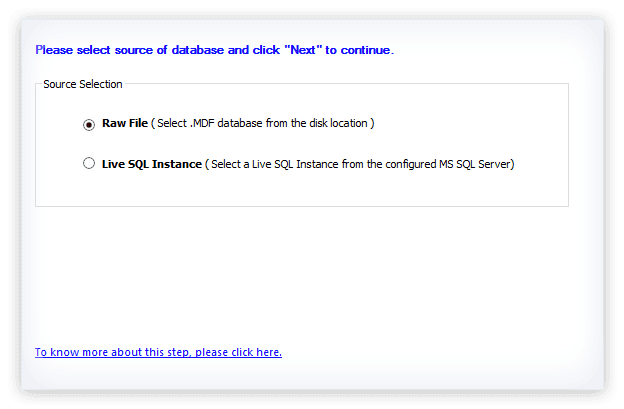 Retrieve data from corrupt SQL backup files and restore to Live SQL.